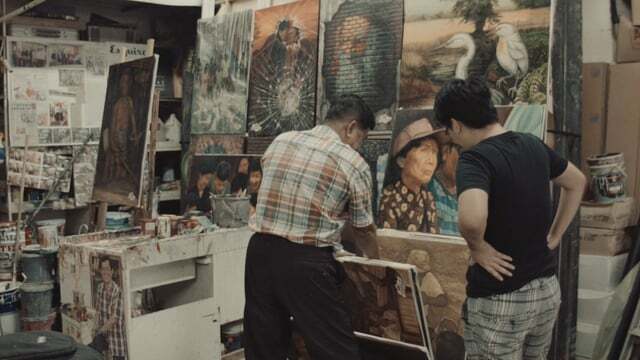 The Art of Singapore is a documentary delving into the life of Mr Ang Ho Sai, proudly known as Singapore’s last movie poster painter. It recently won the top prize at the Singapore Heritage Short Film Competition in 2016. The film is now available on Viddsee. It is an enlightening film that pays tribute to a significant character in the history of Singaporean culture, delving into his humble beginning to his legacy and passing on his work to his son and apprentices. It also pays much attention to his latest work, 50 paintings done as tribute to the history of Singapore and Lee Kuan Yew. Peppered with archival footage and photos amidst its talking heads, it ignites a fair bit of nostalgia, which is part of the charm of this documentary. Its main strength however, is Mr Ang whose enthusiasm in sharing his story is constantly effervescent. His diligence and dedication to his craft is depicted well. 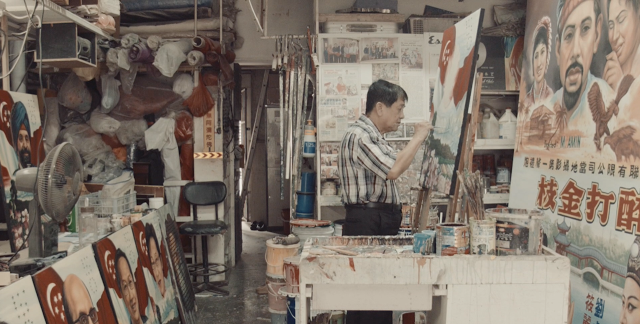 One could almost feel his energy and the smell of paint permeating through the screen. It is a shame however that he is left a little constrained as a talking head from a man so clearly energetic. Fortunately we do so his studio and the man in action, though not quite in an exuberant fashion as the camera keeps a far too respectful distance. The film though at 30 minutes is somewhat overburdened in its ambitions of trying to revere Mr Ang, by cramming in too many aspects of the man. The structure and focus of the documentary becomes haphazard, jumping back and forth on different topics and people - ultimately spending less and less time with the charismatic Mr Ang. Whilst illuminating, the story of generational gaps, history and craftsmanship is clearly three different stories that wrestles with each other for attention but with none coming out on top or helping strengthen the other. Another strangeness is the sporadic and confused use of narration. It is beguilingly incoherent when the narrator begins to speak in the ‘first person point of view’ of Singapore, and then slips back out narrating in ‘third person ‘ without any clear indication, let alone a pause. The narration borders on being schizophrenic, but narration overall becomes less present in the latter half of the documentary. So it is a problem that thankfully doesn’t get worse. That aside, The Art of Singapore does a great service in capturing our craftsmanship and artistic heritage. It tries to give a complex view of Singapore’s progress through the eyes of a generational artist with a dose of nostalgia.